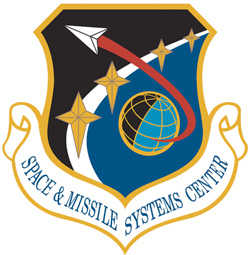 SSL, a Maxar Technologies company (formerly MacDonald, Dettwiler and Associates Ltd.) (NYSE: MAXR; TSX: MAXR), has been selected selected to help define next generation protected communications for the U.S. Air Force Space and Missile Systems Center. SSL will develop, test and analyze antenna subsystem prototypes through a contract with the Space Enterprise Consortium, managed by Advanced Technology International. The award highlights SSL’s ability to contribute to U.S. leadership in space with novel concepts for the U.S. Department of Defense’s next-generation spacecraft systems. Richard White, President of SSL Government Systems, said that the combination of SSL’s agile mindset and innovative new space technologies with our team’s experience in multiple generations of MILSATCOM architectures uniquely positions us to accelerate the DoD’s development and integration of cost-effective and highly advanced solutions that will support the defense of our nation. There are more than 85 SSL-built communications satellites currently in-orbit, and we are proud to leverage that experience to further expand and support U.S. Air Force capabilities.